Violent antisemitism and hatred did not end with the Holocaust and are still a threat to society today. The following resources promote effective teaching about antisemitism and the Holocaust. 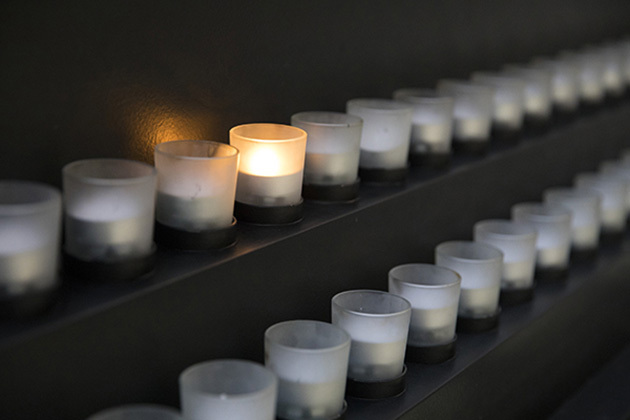 This lesson will focus on the history of antisemitism and its role in the Holocaust to better understand how prejudice and hate speech can contribute to violence, mass atrocity, and genocide. Learning about the origins of hatred and prejudice encourages students to think critically about antisemitism today. Please share how you plan to use this lesson plan in your classroom by e-mailing us at education@ushmm.org. These guides are meant to help students learn about fighting prejudice, responding to genocide, religion and identity, and other topics relevant today. The lessons use our Voices on Antisemitism podcast to illustrate the existence and broad impact of modern-day antisemitism. This lesson from Echoes & Reflections provides the opportunity for students to understand that antisemitism did not end after the Holocaust. This Facing History resource includes a guide for discussing the October 2018 shooting with students and provides context for educators to use in framing conversations. This guide from the New York Times Learning Network includes tips for educators to use when discussing difficult or sensitive news stories with their students. This Scholastic Magazines resource discusses how to help children cope with traumatic events and content. The following Encyclopedia articles contain critical learning questions that can be used when discussing article content with students. This film introduces the origins of antisemitism from the days of the early Christian church until the era of the Holocaust in the mid-20th century. The film prepares students for a discussion of why Jews have been targeted throughout history and how antisemitism offered fertile ground to the Nazis. Using examples from Europe, the Middle East, and the United States, this film explains how antisemitic violence and Holocaust denial are a threat to liberal society today. This hour-long podcast brings together a broad range of voices to talk about racism, antisemitism, and the ways in which hatred can grow. Listeners hear from people speaking from a variety of different perspectives, including a former skinhead, an imam, a prosecutor for the Rwandan genocide trials, filmmaker Errol Morris, and Holocaust survivor and Nobel Peace Prize recipient Elie Wiesel. Find films, lesson plans, and curricular materials to use in your classroom. This podcast series features a broad range of perspectives about antisemitism and hatred today. 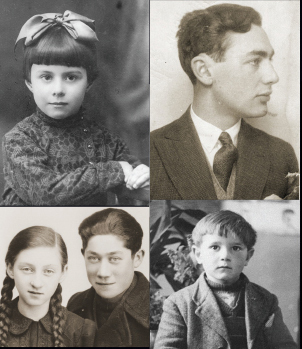 This learning site presents an overview of the Holocaust through historical photographs, maps, images of artifacts, and testimony clips.